This shockproof safety helmet, made of plastic material, protects your head, if you fall whilst hooked up to an arresting system - preventing you from becoming unconscious or being injured through a collision. 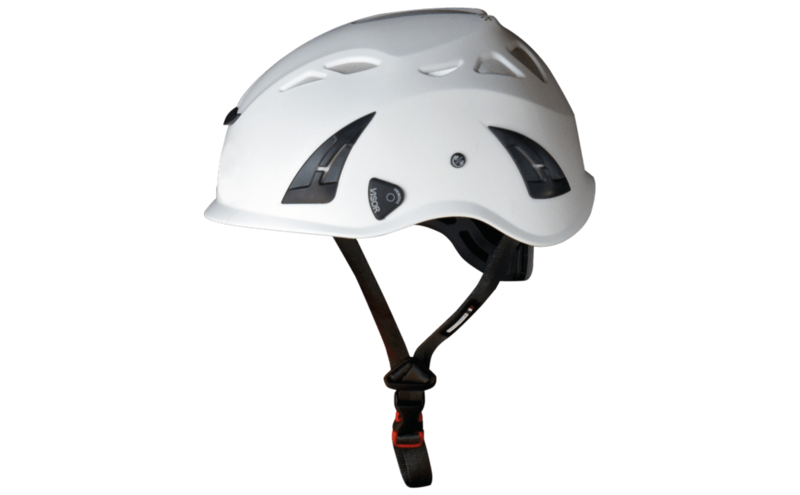 This lightweight helmet has a chin strap and is equipped with a modern ventilation system. It also offers integrated protection from foreign bodies. The head is particularly subject to injury in the case of a fall. 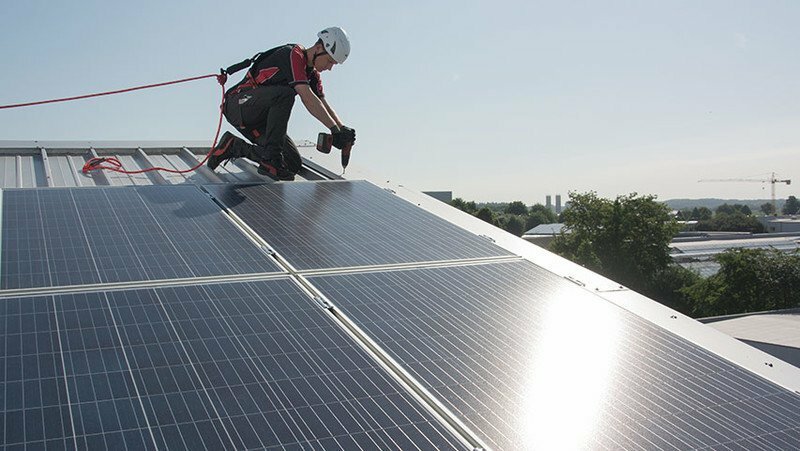 Even where a system is in place to arrest potential falls, it is crucial to avoid a state of unconsciousness and the severe consequences this may have by wearing a safety helmet - such as our high-quality ABS Comfort Helmet which is made of shockproof synthetic material. This helmet is remarkably lightweight and scores top marks for its modern ventilation system: Air Grid technology offers pleasant ventilation whilst keeping unwanted foreign bodies out. 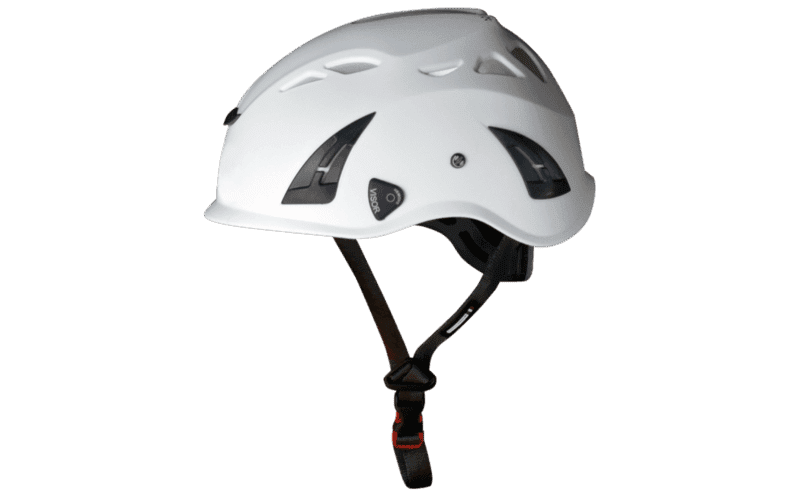 This safety helmet is certified in line with EN 397 and leaves no desires open when it comes to providing comfortable head protection for the construction and roof building trade. Our helmet is also a partner you can rely on in industrial applications. Its lightweight design ensures extremely high comfort levels - even when worn for several hours at a time. The chin strap prevents the helmet from slipping off the wearer’s head in the case of a fall - providing your workers with the best possible protection from head injuries: Industrial climbers, roof workers and maintenance technicians are even better protected when working at dangerous heights.